Kickboxing In Leicester - Kickboxing Self Defence For All. Kickboxing lessons and so much more. Martial Arts isn’t just about combat. It’s a fun and novel way of staying in shape. It is a great overall work out. That is designed to improve your fitness. It is also a good way to build your confidence by making you more aware of your surroundings. Not only will you increase your fitness levels. But you will gain useful tips on safe self defence along the way. At the School of Hope and Glory Martial Arts. 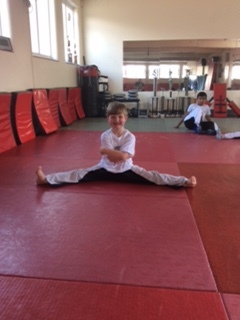 We offer some of the best training in Martial Arts in Leicester. We offer a wide range of classes and courses in Kickboxing, Kung Fu and self defence. Aimed at all ages and abilities. Whether you are a total novice, looking to get into shape or just wanting to learn a new skill. Even if you’re an experienced Martial Artist looking for a new center to train in. We have over 31 years of experience in Martial Arts and we offer training in several different disciplines of Martial Arts. These include several kinds of kickboxing and Kung Fu, Wrestling, Aero box and Grappling. Kickboxing is one of the main disciplines we teach. This was very popular for self defence and fitness. As trends goes Kickboxing is still popular. But is now mixed with other forms of Martial Arts. Each Kickboxing style is unique in its own way. 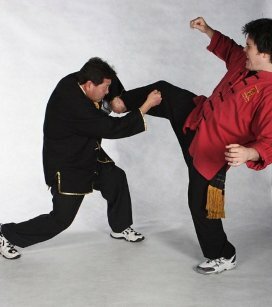 Semi Contact Kickboxing is very quick and is called points fighting or stop and start. The second is based on Martial Arts and Boxing techniques. In this style speed and endurance is key. Full Contact kickboxing can be powerful but slow! We also offer a music based Martial Art called Capoeira. It is rich in culture and the origins of Capoeira. Ideal for fitness and combat. So if you fancy a challenge of a different kind, this might be for you! We encourage progression and competition. But we also let you learn at your own speed. All our instructors have first hand experience in their field. They have competed at British, European and World championship level. They are also all C.R.B checked for your peace of mind. So why not come down and try a Kickboxing lesson. Or one of the other disciplines we have to offer. No matter what you are looking for in a Martial Arts center. We are sure we can provide a safe environment for you to learn and practice in. Come down and look at our facilities to get an idea of what we have to offer. Getting fit and learning a Martial Art has never been so easy and so much fun. But please don’t take our word for it! Read the reviews and then take the ultimate test and try a session yourself. Its really the only way!